Memories will always dream of pink dust. Childhood moments are as pink clouds of spring, on the horizon clustered heap of cotton! Thank you Mehmet for your poetic comment! What a great childhood memory! No tree farms near us, but always went to twin square to visit Santa to give hom our list of 2 or 3 wants. Well until I recognize him, this gentleman will always be Santa to me! Those young family traditions are with is always aren’t they Denise? Wrapped around us like a warm cloak of memories and love! Even though we live within a two hour drive of Tree Farms in most any direction, I never had been to one until I was twenty five. It was then that I realized what I had missed. Thanks for bringing it back Libby, you are so good at what you do. Thanks Tom. They are a very special experience you almost have to have to believe how wonderful aren’t they?! Another wonderful,” put you smack dab in the middle of it all” adventure from a life so full! Lovely Libby when I was a child we always had a fake tree, but when John & I got married it was “OUR ” little family tradition!!! Was always so much fun & I am very blessed that we had my dad with & he videoed every CHOP! Soon our girls grew & didn’t think it was so much fun anymore! Keep them coming my dear friend I Love you more! I’m glad your family did this Mary and video’d! My daughter would have loved it to. Mike is wonderful, but not very outdoorsy. Also I developed allergies in my late twenties and eventually went with the artificial trees. We still had real ones when Abby was young though and I endured because I love them! Thanks for reading, Mare…Love you too! 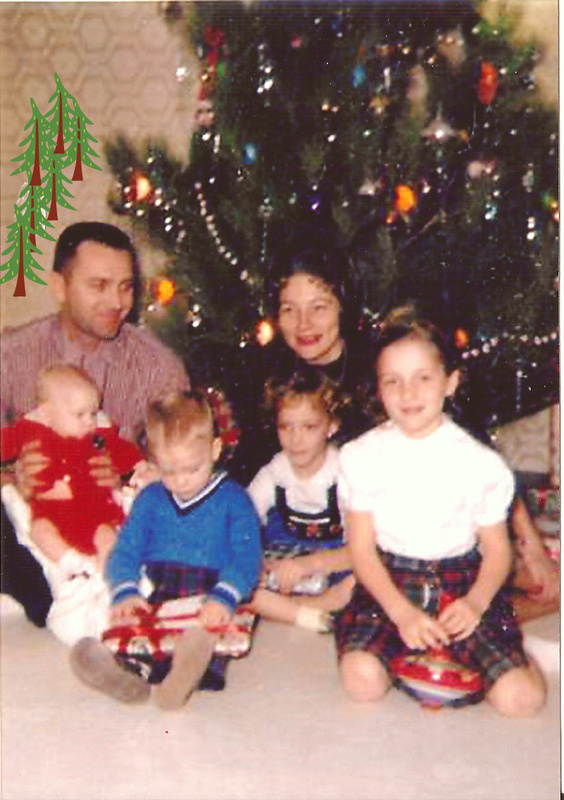 My siblings and I grew up with an artificial tree at home. However, we’d go to Grandma Nita’s for Christmas dinner and the rest of the day. There, Grandma greeted us at the door, accompanied by the familiar scents of the turkey, the fresh-baked cookies and a *real* pine. These days, I opt for the convenience that my parents did and still do, putting up an artificial tree. This story helps bring back the treasured smells of treasured times. I’m glad Mark. It’s so good to remember the treasures found in the wonderful smells and pictures and memories of our youth. They are part of what shape us, aren’t they? Obviously you had a family that left you rich with warm memories! They are now yours to share. Thank you for your comments. Libby, I love how your stories conjure up memories from my childhood. we always went to a tree lot to choose a tree. My parents now have an artificial tree, but I’m supremely fond of going out and cutting down our own tree. Next Christmas we’ll be home and I plan on chopping our tree again! =) Now to learn the types of trees like your dad did.